Wireless Traveler - Fugazi Travel Agency Inc.
﻿Have secure access to fast and secure 4G/3G data for all your data needs while abroad. Emails, GPS, Wifi Calling, Data Streaming - wherever you need it. Connect as many as 5 devices at once, including Smart Phones, iPads & laptops. 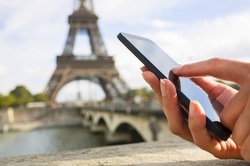 No need to worry about expensive data roaming charges. Prepaid data bundles with convenient automatic recharge feature. 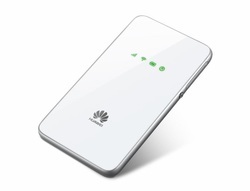 Ultra fast, sleek device gives you Wifi when you need it - at the airport, in the taxi, out and about in Europe, Asia or Latin America. Contact Fugazi Travel for more information or Wireless Traveler at 1-866-700-3883 or info@wirelesstraveler.com. Best quality Wifi App. The Wirelesstraveler App lets you call back to the USA & Canada for as low as 2 cents/minute in wifi. You can call ANY land line or cell phone. The other person does not need to be on the App. But if they are, App to App calling is Free. Easy to use and free to download. Enjoy the crystal clear lines with reliable connection. Works in over 195 countries. Just $10 gives up to 8 hours of calling. 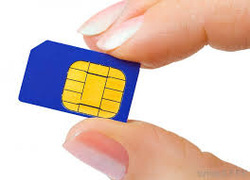 Use your Smart Phone while traveling with a Wireless Traveler SIM card. If you have an iPhone or Samsung Galaxy with Verizon, it is unlocked and you can simply insert a Micro or Nano SIM. Only $19.99 for the SIM (reg. $24.99). Get $15 extra free minutes when you activate with airtime. Works in over 180 countries. Incoming text messages are free to receive and as low as 45 cents to send. Perfect to stay in touch with family and friends back home. No contracts or monthly fees. Enjoy peace of mind while traveling with low cost calling.